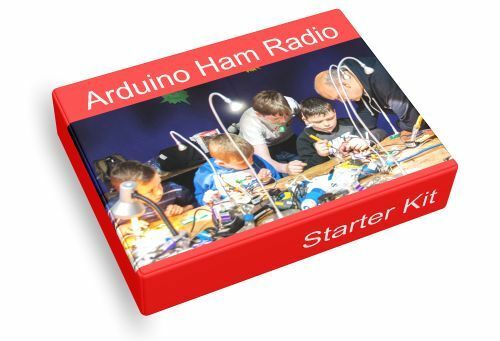 Ham Arduino Introduction continues our Starter Kit with a description of the great fit between ham radio and making,the popularity of Arduino, and a call to action for you and your club. Seems like the average ham is over 55, somewhat overweight, and married to a wife who hates ham radio. Works for me. But here’s more about the “average ham”. We are already “makers”. In the hobby, this is known as “homebrew” and is a deep part of our culture. Sixty percent of hams build things regularly, usually station accessories. Most already have a dedicated electronics workbench. Although less than 15% use microcontrollers, 60% have heard about Arduino and are interesting in learning more. By definition, we also have at least a basic working knowledge of electronics. Plus, nearly half of all hams are fluent in at least one programming language. Perhaps the biggest challenge with on-boarding Arduino activities is time. Rather, finding time, given the many different aspects of amateur radio. Most hams spend 5 – 10 hours a week on the hobby. The good news is that many hams have retired healthy and are looking for things to do. Another factor is that there are lots of local radio clubs seeking activities for their members. So, this is a perfect storm for a club to encourage an Arduino special interest group, that can reach out to the maker community. Arduino is a perfect on-ramp to attract a few folks into ham radio, while building on our homebrew mentality. The fit between hamming and making is near perfect. Oh, and another thing. Most hams are “cheap”. Arduino and most of the maker gadgets are open source and low cost. A little money goes a long way. Hams have a long but narrow history with microcontrollers. A few more advanced hams have used Microchip PIC for controlling local equipment and remote repeaters. There are lots of challenges with using Programmable Interface Controllers. These include a steep learning curve, fewer standards, and a culture oriented to chip-makers. Moreover, PIC ecosystems more geared toward professional engineers than beginners. After ten years, Arduino has won hearts and minds. Here is a quick beginner’s video tour of the Arduino and what it can do. How many Arduino’s are used around the world? My guess is around 5 million if we count all the clones. Hams and makers share a passion for electronics. Next, we will talk about how hams already have most of the resources they need to get started.